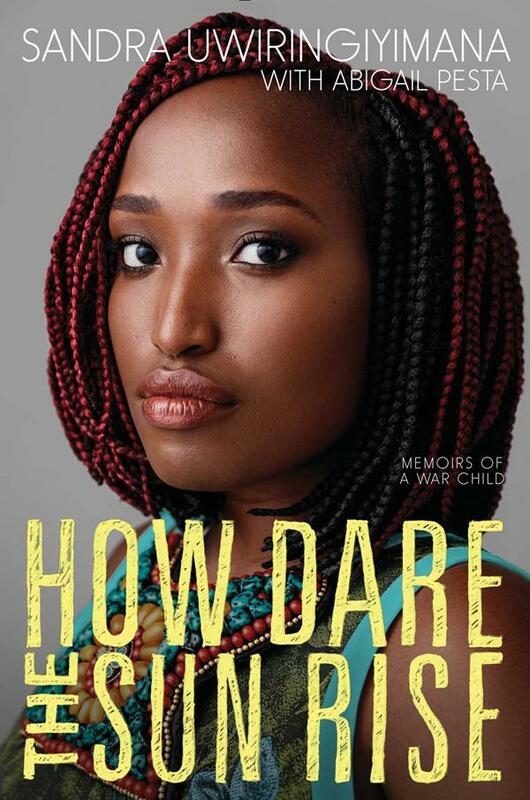 How Dare the Sun Rise: Memoirs of a War Child by Sandra Uwiringiyimana. May 16, 2017. Katherine Tegen Books, 304 p. ISBN: 9780062470140. Int Lvl: YA; Rdg Lvl: YA; Lexile: 790. In this powerful memoir, Sandra Uwiringyimana, a girl from the Democratic Republic of the Congo, tells the incredible true story of how she survived a massacre, immigrated to America, and overcame her trauma through art and activism. Sandra Uwiringiyimana was just ten years old when she found herself with a gun pointed at her head. The rebels had come at night—wielding weapons, torches, machetes. She watched as her mother and six-year-old sister were gunned down in a refugee camp, far from their home in the Democratic Republic of the Congo. The rebels were killing people who weren’t from the same community, the same tribe. In other words, they were killing people simply for looking different.